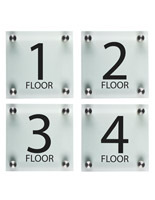 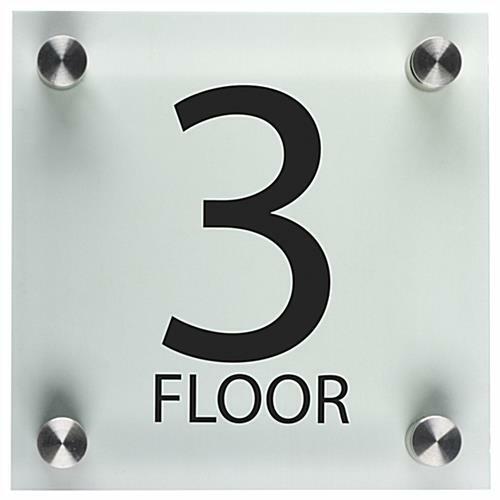 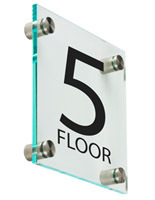 This pre-printed acrylic wall sign comes with four 1" metal sign standoffs in silver to keep messaging secure. 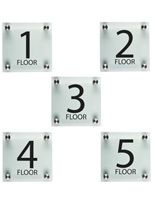 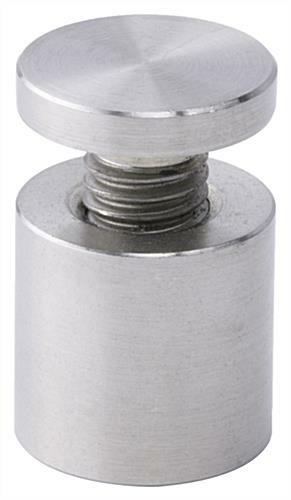 This name holder is a great decor fixture for corporate parks and professional offices. 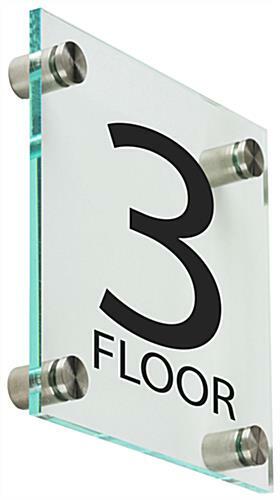 This acrylic wall sign, also known as floor level signage, is clear with an eye-catching green edge so the stock graphics won't be missed. 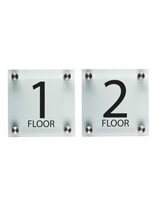 Note to buyer: these non-ADA compliant fixtures are must-have wayfinding tools in any professional setting. 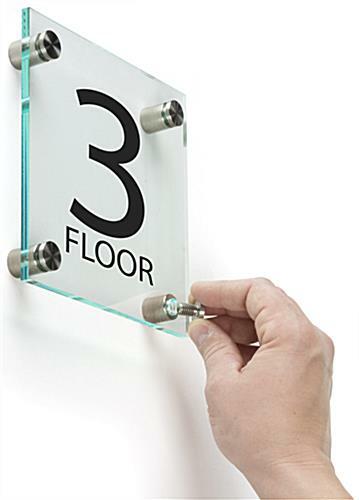 Mount this wall sign to orient visitors as to which story they are on when in a new building - buy in bulk for large buildings, and save!